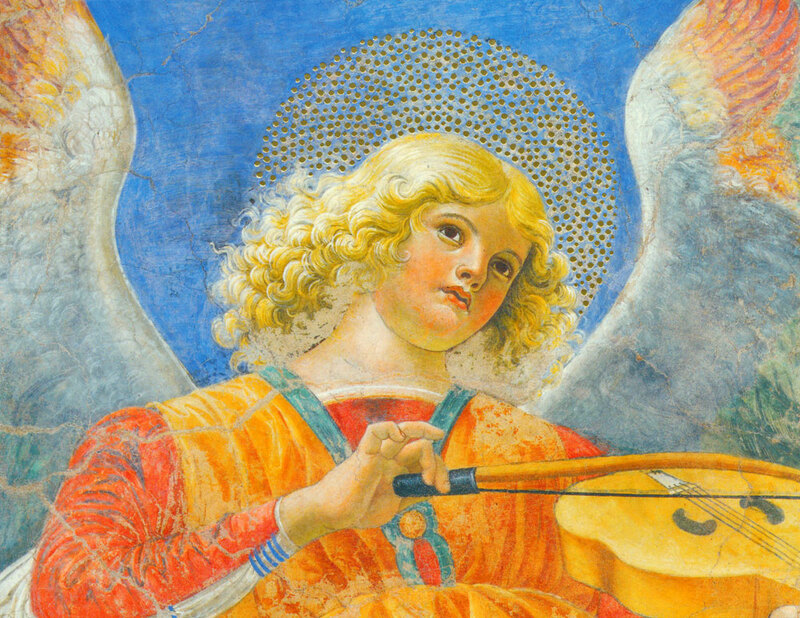 Lightly grazing the bow across his viola, this delicately painted angel was part of a fresco (ca. 1480) by Melozzo da Forli (Italian, 1438-1494), painted for the Church of the SS. Apostoli in Rome.